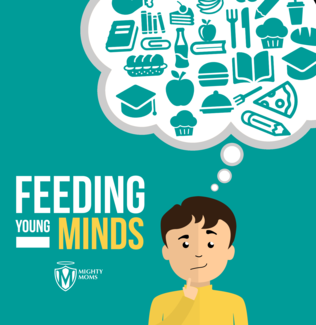 Feeding Young Minds is our collaboration with Livingston Parish Library System and LPPS Food Service to support the after-school program. The program provides students with a free snack and drink and a safe haven to get homework done or take part in educational programs. The program utilizes all five libraries in the parish and serves as many as 100 students each week. Volunteers, Assistant Principals, counselors and librarians across the parish help to staff sessions at the library closest to their schools. One must be well fed to be well read.